The United Nations has marked June 20th as World Refugee Day – a day that people can honor the strength, spirit and courage of millions of refugees worldwide. It is a day to recognize the contributions of refugees in their communities and to raise awareness of their struggles. 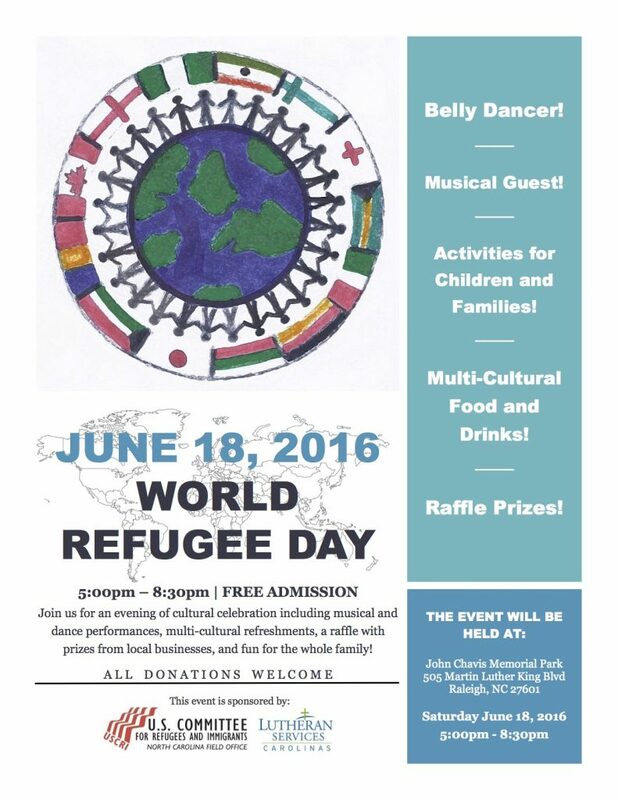 Here in Raleigh, the U.S. Committee for Refugees and Immigrants along with Lutheran Services is sponsoring a World Refugee fair on Saturday, June 18th .